North Korean leader Kim Jong-il's half-brother Pyong-il, the North's perpetual ambassador to Poland, is rumored to have been under house arrest since he arrived in Pyongyang in May. A source familiar with the North's internal affairs on Thursday said Kim Pyong-il is under house arrest because Kim Jong-il's son and heir Jong-un and his followers are maneuvering to hold him in check. "Anyone who is believed to pose an obstacle to Kim Jong-un's succession, even members of his own family, is subject to elimination," the source added. Experts say Kim Jong-un is deliberately trying to look like his grandfather Kim Il-sung to take advantage of nostalgia for the late regime founder, but Kim Pyong-il looks more like Kim Il-sung and is therefore regarded as a threat. Since Kim Jong-il beat him to the succession in the 1960s and 70s, Kim Pyong-il has spent 23 years overseas, beginning with the ambassadorship in Hungary in 1988. He then became envoy to Bulgaria and Finland and has been in Poland since 1998. 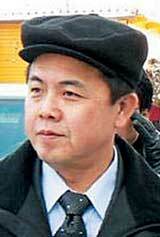 He has gone back to Pyongyang only a few times since Kim Il-sung died in July 1994. This time observers speculate that he will spend some time in Pyongyang because his mother Kim Song-ae (87) is dying. But others speculate that he will go back to Poland in August after observing the anniversary of his father's death on July 8.